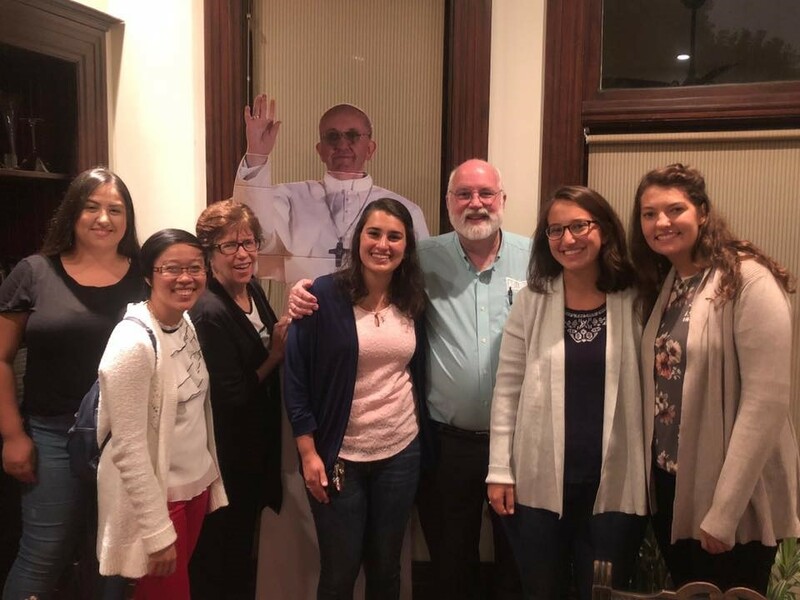 Jessica is one of five CVN Serving with Sisters Ambassadors – volunteers sharing the joy, energy, and fulfillment of serving alongside Catholic Sisters in CVN member programs, through creative reflection, conversation, and experience. 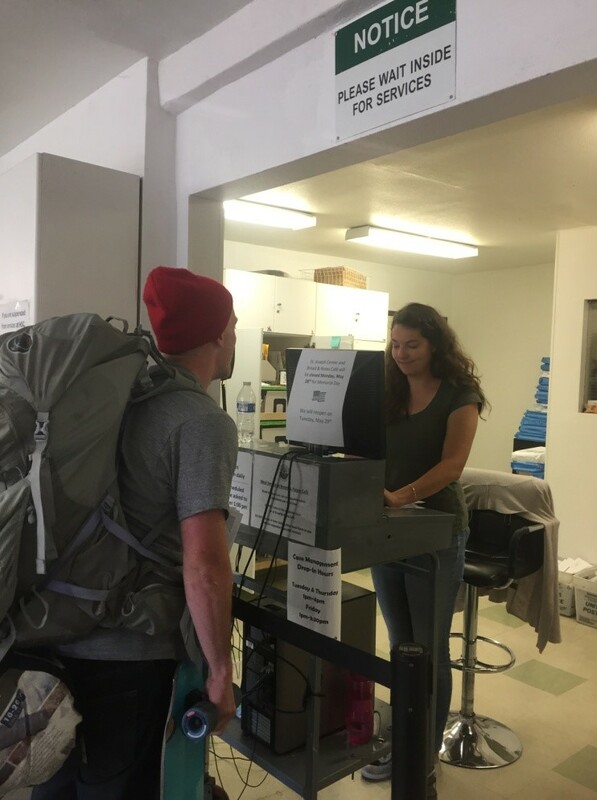 This is her last post as her volunteer year comes to a close – thank you for following Jessica and her fellow Ambassadors over the course of their service year! So here we were, driving through the entirety of the state of Kansas, having started our journey that day at 7 AM in Denver, CO. It’s the end of our program, and my community member Anh and I are on a road trip from Los Angeles to my home city of Boston, Massachusetts. One of the perks of driving so long is that you have plenty of time for reflection, which Anh and I did as we barreled down the highway. I told Anh about this blog and together we traveled back through our year, ruminating on wisdom we’d share with someone else interested in this opportunity. My community. 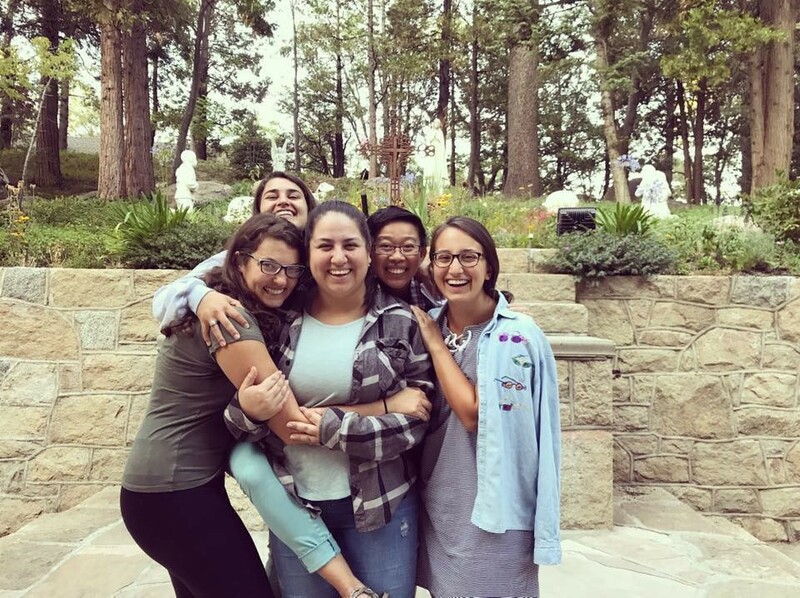 This picture was taken on our opening retreat in Lake Gregory, CA and remains one of our favorite group shots. Community is truly a “you get what you give” situation. Build in structure for your community; time together is really important! The reality is that community is really hard. No one really told us that going in, but it is a hard part of this year, rewarding as it may be. It is okay to admit that it’s not always amazing, but it can become one of the best things about the program if everyone works on it. My community member Molly and I after we ran the Homeboy Industries 5k. 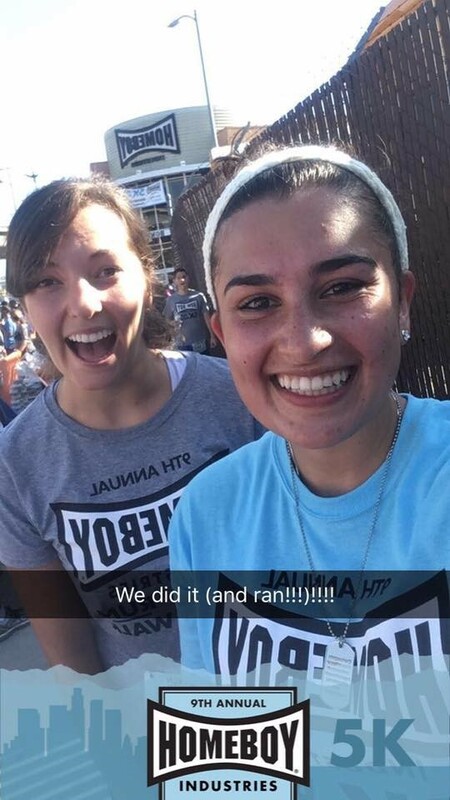 We originally were going to walk it, but we saw an opportunity to get outside of our comfort zones and ended up running part of our first 5k! The first thing that came up when we were brainstorming wisdom was the notion of being open to new opportunities. This year presented a lot: different work opportunities, new places to explore, chances to get outside ourselves and our community. Be reflective and kind to yourself; don’t take on more than you can handle! But try pushing yourself a little; you might be amazing at what happens! An LA sunset photo taken on a solo stroll on the beach. 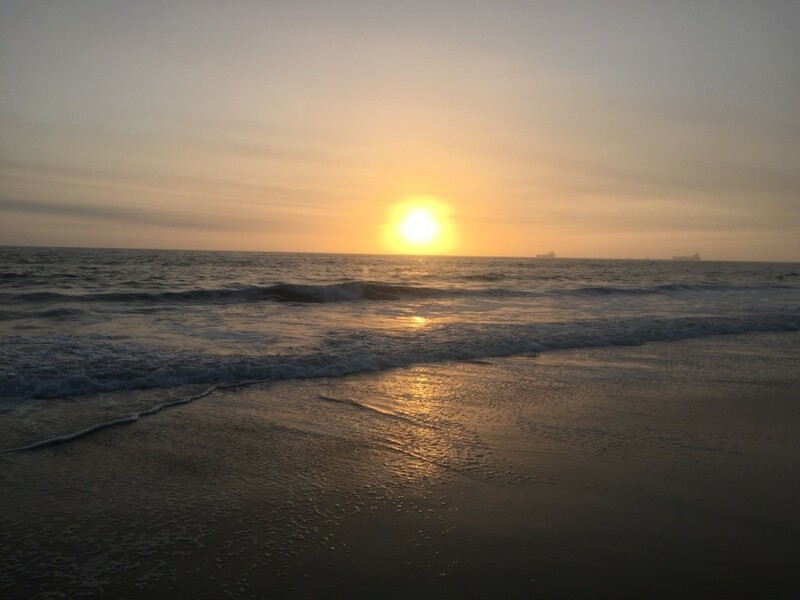 For me, talking with community members and mentors, journaling, and going to the beach were methods of reflection and processing my experiences. Taking time out of the week to think about your work is really important. Similarly, I would encourage taking some time to think about what you need out of your year, especially things outside of work and community. And then go get those things! Me signing clients up for services at my work site, St Joseph Center, Homeless Service Center. It can be easy to get caught up in the difficulties of the year, of work, and of community, but keeping in mind the justice that your year is made for helps focus you and keeps your eyes on what matters. Keeping in this line of thinking, it’s important to try to remain in solidarity with the population you are serving by living simply and keeping up with the justice issues in the world. This year is a great chance to try out simple living challenges and more sustainable ways of life. 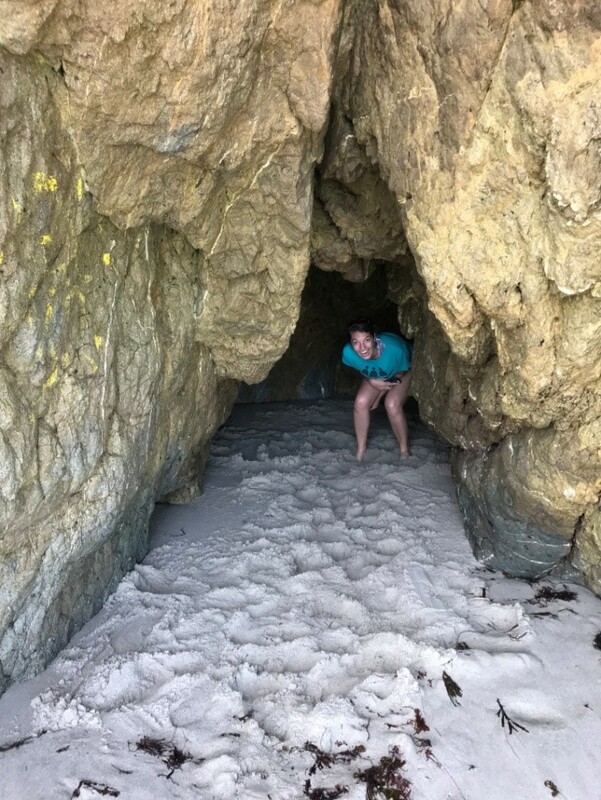 Me hiding in a cave on a beach trip I took with my community member Michaella in Malibu! I feel like I grew up a lot in this year. I was confronted with confusing questions about who I was and what I believed, what social justice looked like, and what growing into an adult is like. In the midst of all that, I encourage any person to stay true to who they know they are. For me, reaching out to mentors in the program as well as a spiritual director was really important in my journey. There is not a perfect volunteer, a perfect job placement, or a perfect experience in this year. Instead, it is a perfect jumble of life that God helps us navigate and grow in. My community with Fr. Greg Boyle, founder of Homeboy Industries, and our program coordinator, Sr. Judy Molosky CSJ. Pope Francis made a special appearance, too! I am so grateful for the opportunities that came my way this year and for all that I learned. This year has given me amazing tools to use in the world after my volunteer year and I look forward to where the world takes me. I am especially grateful for the opportunity to write this blog and thank you all in a special way for accompanying me on my journey in service. 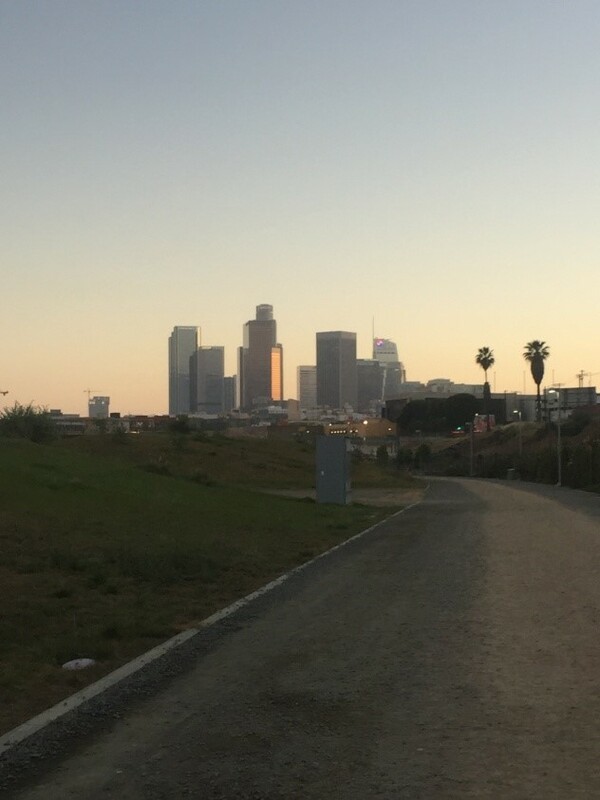 A picture of the Los Angeles skyline I took on a reflective walk after spiritual direction.